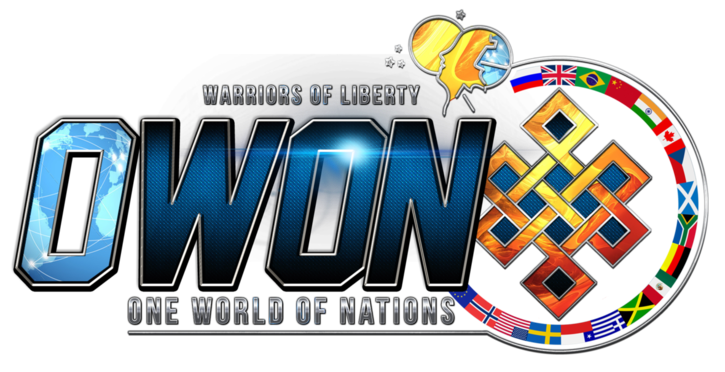 OWON: Understanding even part of Vatican intrigue and scurrilous mind games takes time, but starting has to be now. Now the world is awakening. In 1976, the United States Association of the Club of Rome (USACOR) was formed for the purpose of shutting down the U.S. economy gradually. The Technetronic Era Henry Kissinger was then, and still is, an important agent in the service of the Royal Institute for International Affairs, a member of the Club of Rome and the Council on Foreign Relations. Kissinger's role in destabilizing the United States by means of three wars, the Middle East, Korea and Vietnam, is well known, as is his role in the Gulf War, in which the U.S. Army acted as mercenaries for the Committee of 300 in bringing Kuwait back under its control and at the same time making an example out of Iraq so that other small nations would not be tempted to work out their own destiny. The Club of Rome, acting on Committee of 300 orders to eliminate General ul Haq, had no compunction in sacrificing the lives of a number of U.S. servicemen on board the flight, including a U.S. Army Defense Intelligence Agency group headed by Brigadier General Herber Wassom. General ul Haq had been warned by the Turkish Secret Service not to travel by plane, as he was targeted for a mid-air bombing. With this in mind, ul Haq took the United States team with him as "an insurance policy," as he commented to his inner circle advisors. 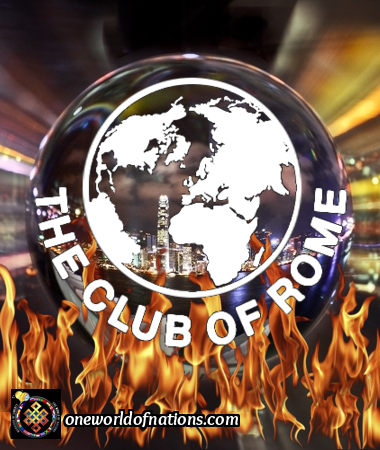 During the period 1968-1972, The Club of Rome became a cohesive entity of new-science scientists, Globalist, future planners and inter- nationalists of every stripe. As one delegate put it, "We became Joseph's Coat of Many Colors." Peccei's book "Human Quality" formed the basis of the doctrine adopted by NATO's political wing. Peccei headed the Atlantic Institute's Economic Council for three decades while he was the Chief Executive Officer for Giovanni Agnellis' Fiat Motor Company. Agnelli, a member of an ancient Italian Black Nobility family of the same name, is one of the most important members of the Committee of 300. He played a leading role in development projects in the Soviet Union. 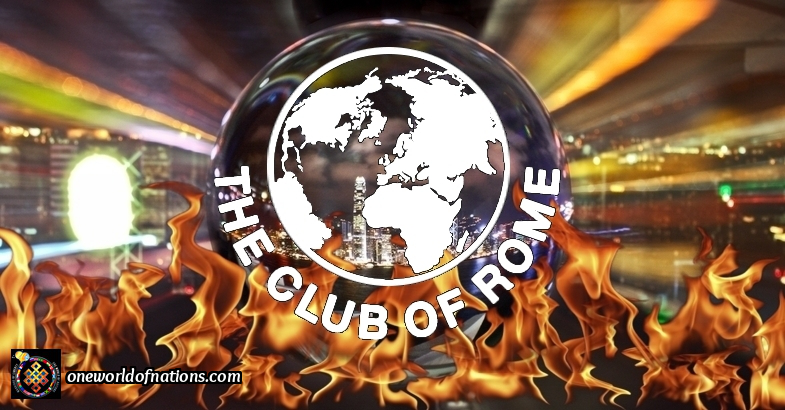 The Club of Rome is a conspiratorial umbrella organization, a marriage between Anglo-American financiers and the old Black Nobility families of Europe, particularly the so-called "nobility" of London, Venice and Genoa. The key to the successful control of the world is their ability to create and manage savage economic recessions and eventual depressions. The Committee of 300 looks to social convulsions on a global scale, followed by depressions, as a softening-up technique for bigger things to come, as its principal method of creating masses of people all over the world who will become its "welfare" recipients of the future. The committee appears to base much of its important decisions affecting mankind on the philosophy of Polish aristocrat, Felix Dzerzinski, who regarded mankind as being slightly above the level of cattle. As a close friend of British intelligence agent Sydney Reilly (Reilly was actually Dzerzinski's controller during the Bolshevik Revolution's formative years), he often confided in Reilly during his drinking bouts. Dzerzinski was, of course, the beast who ran the Red Terror apparatus. He once told Reilly, while the two were on a drinking binge, that "Man is of no importance. Look at what happens when you starve him. He begins to eat his dead companions to stay alive. Man is only interested in his own survival. That is all that counts. All the Spinoza stuff is a lot of rubbish." With regard to the Third World, the Club of Rome's Harland Cleveland prepared a report which was the height of cynicism. At the time, Cleveland was United States Ambassador to NATO. Essentially, the paper said it would be up to Third World nations to decide among themselves which populations should be eliminated. As Peccei later wrote (based on the Cleveland Report): "Damaged by conflicting policies of three major countries and blocs, roughly patched up here and there, the existing international economic order is visibly coming apart at the seams....The prospect of the necessity of the recourse to triage deciding who must be saved is a very grim one indeed. But, if lamentably, events should come to such a pass, the right to make such decisions cannot be left to just a few nations because it would lend themselves to ominous power over life of the world's hungry." Felix Dzerzhinsky is a Jew and not of real Polish noble ancestry. That is what he likes to pretend. Polish kings have patronised Jews for centuries and as a result many Polish Jews acquired titles. Poland is but one of the many currently irrational behaving countries and when such behaviour is manifested one must search for causes such as the above. The cause can not be incompetence and gross negligence at the highest levels. It must always be by design. The only question is whose design? 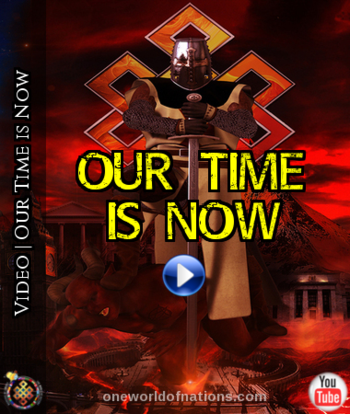 If Clinton is elected the next US President, as unfortunately seems likely by whatever foul means, the consequential fall out for the Northern hemisphere may be an epoch moment.The entire Cabal operation of NWO will encircle the West, with all Democracy lost. The EU will fall under US control, and the worst, adverse dehumanisation of our species will begin. The foulest of Jesuit doctrines will unfold, and Obama is not surrounded by Jesuits for nothing. Jesuit policies are draconian, and the mass ignorance of a gullible public will lead to their downfall. Never before has such powerful technology been in the hands of Despots, nor has the West ever faced such draconian threats as now. Be assured, with Transhumanism will come segregation. Species selection will lead to species enhancement,and behind it the full forces of the worst Elitist self serving depopulation agendas. The Western Political system has failed. The Intel Agencies all serve conflicting interests and have sold out. Media is a worthless propaganda machine with neither morality nor patriotic ethos. Investigative reporting is dead. It may be that the only thing able to save Western Democracy is war. The likes of Clinton and the vile, pernicious Cabal Oligopoly she serves,will end the morality of nation building and any patriotic ethos. The EU and US are one. Corrupt to the core. Inept, incompetent and riddled with KMs and Masonic subversion. At least the UK still fights, but it seems, alone. Humanity is losing badly. Clinton is a nail in the coffin of hope. Clinton may be the end of Democracy. 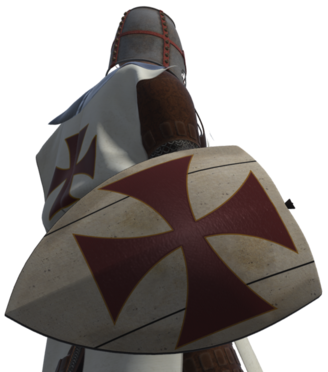 She carries the mark of Kaine, and once removed, the Jesuits will have the lot. Then what? The ultimate Coup. Looking at what is behind, if Clinton gets in, as is likely, it's only time before Kaine steps up. Read that as a Given. The EU is already deeply compromised and under Jesuit control. It's no coincidence the new Black Pope has majored in Political disciplines and headed the Lucifer project. This one is different and clearly meets the Jesuits long game plan. His has not been a religious career path. nor one without design. With the 18,000 Priest Agents they fund worldwide, they have a huge bill and an agenda. No one has a more sophisticated Intel apparatus. Add to that the layers of KM's and Masons. Their outreach also via the Catholic church. If Kaine is activated as the next President subject to Hillarie's demise, what then ??????? If Clinton gets in, it will be the beginning of the end of all we hoped for. Democracy and hope will die. This is now an end of days for a free Northern Hemisphere. The Cabal is not only a US monstrosity, it enconpasses all. Tiny Britain alone can not face it down. Only dreams are free. Britain only banks for them. The Queen, truly, is only the roll out ceremonial show Lady. She has no such personal controls. That is a myth. Behind are the layers who do. The real, ever changing Committee of 30 and their top 15. That is the driving force now. Floor 7 in the US and the Think Tank of the 300. Real, absolute power and zero interest in Democracy or humanity. Life has evolved and humanities needs have changed. Emergent Robotics and 3 D changes everything. As do the new Power systems. With only the need to feed the 500m needed to maintain the Global plan,their concept of resolving pollution by removing polluters, has a logic difficult to defend. Humanitarian ethos, has no value with no voice. Having owned a 500 acres Estate,sheep grazing our bloodstock horse paddocks were a truly mindless, brain numbing species needing constant control and herding ,and correlate the masses at times. But worse, when you truly see the ruling Political Protoliterate from within, there are times you realise the Sheep are not as dumb. They rule? Clinton will be the end of Democracy. The beginning of a truly awful force stalking the earth. Jesuit Kaine behind? What is coming to America is fearsome if she is unleashed. Worse, mindless sheeple will vote her in. Your thoughts will be of interest. Debate is free and an open forum. Never thought of Kaine/ Cain as in biblical tales but it's just the sort of thing this crowd likes to do. I'm not sure about the Queen. I have read in various places that she's nearly at the top of it all. Diana had curious observations of the clan. The City of London is a KM stronghold, as is the Netherlands, the core of the Jesuits and the Freemasonry. While you are aiming at the Jesuits as the problem I propose that the Jesuits are really just a coverup for a particularly effective group of Khazarian operatives originated in the 16th century by crypto-Khazarians. They are at the core of everything the world over. Sadly, Trump has Jesuit training so where does that leave us? I somehow suspect that Mossad's sayanim (informers) outnumber the Jesuits but then, the Jesuits have the entire Catholic church at their disposal. Most catholics don't even know who they are.